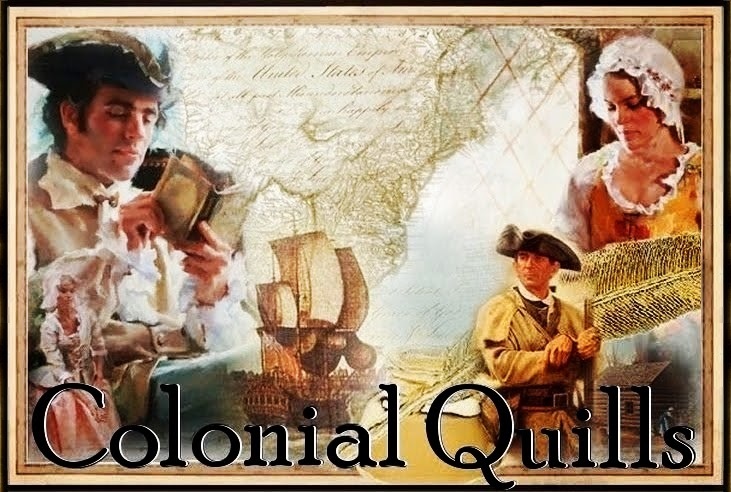 Colonial Quills: Six Year Blog Anniversary for Colonial Quills Blog! Six Year Blog Anniversary for Colonial Quills Blog! Huzzah!!! We've been a busy crew this past year again since our 5th anniversary. (Click here to see that post.) Since last year, we've had some amazing things happening for our members. And of course we want to celebrate with lots of fun giveaways for our readers! Please join in the conversation by commenting after enjoying your visit with refreshments and book talk to be eligible for the giveaways. 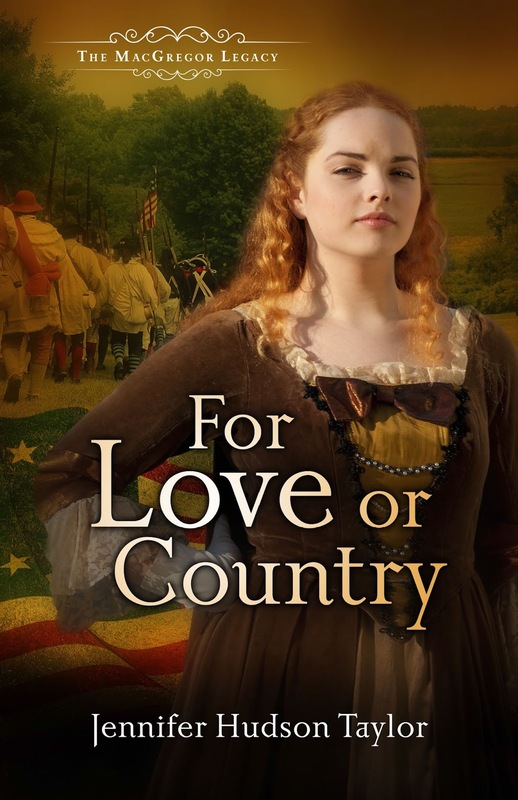 Janet Grunst, one of our earliest CACW members, made her debut in Christian fiction with a colonial novel that is a finalist for the Selah Awards! Congrats, Janet!! 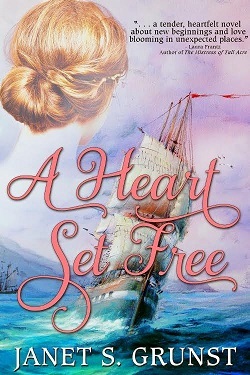 Giveaway: To celebrate, Janet is giving away an autographed copy of A Heart Set Free. Vicki McCollum also made her debut in Christian fiction with a novella this year with Forget Me Not Press! Congrats, Vicki! 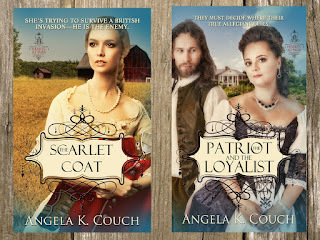 Giveaway: In celebration of the Colonial Quills sixth year anniversary and our nation's upcoming Independence Day, she's giving away three print copies of For Love or Country (Book 2 in the MacGregor Legacy series) set during the American Revolutionary War along the North Carolinian coast. 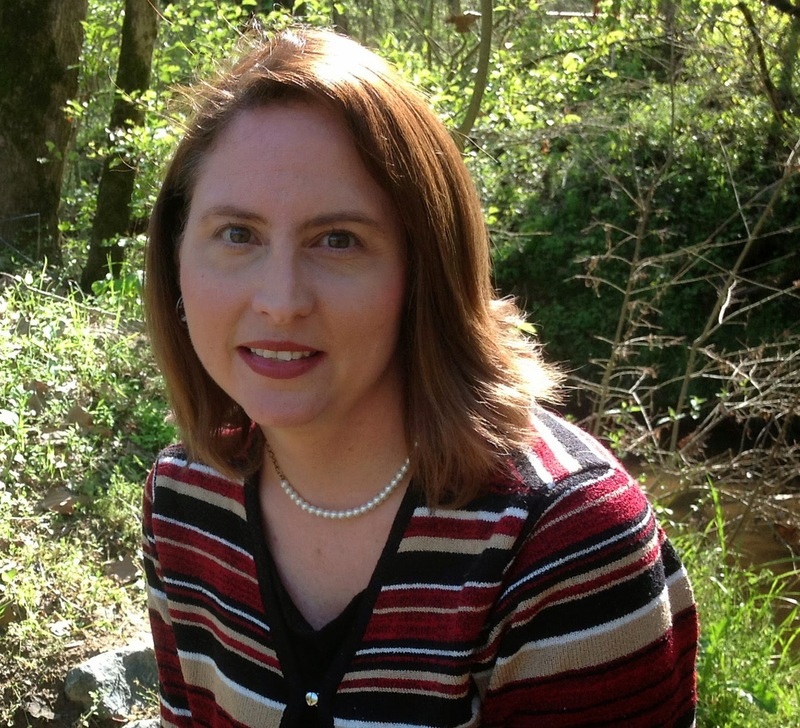 Debra E. Marvin's love of the colonial era will eventually come to a novella near you. With five published novellas (in multiple collections) she's stayed busy. A novel-length mystery, and a colonial set at Tryon Palace will be out later this year. She's giving away winner's choice of a digital novella or a paperback of Saguaro Sunset, her first contemporary. 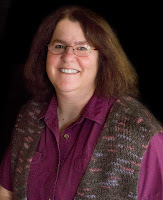 Debra also promotes book bloggers and book reviewers on her group blog and personal website. 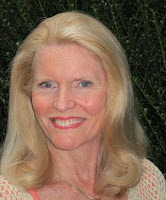 Roseanna White will see her 14th historical novel release this summer, and in the past year has been blessed to add "bestselling" to her name and a Christy Award nomination for The Lost Heiress to her accomplishments. Roseanna is another of Colonial Quills' founding members, and though her recent titles haven't been Colonial, she's still holding tight to a few more early American book ideas that she's determined to write one of these days! 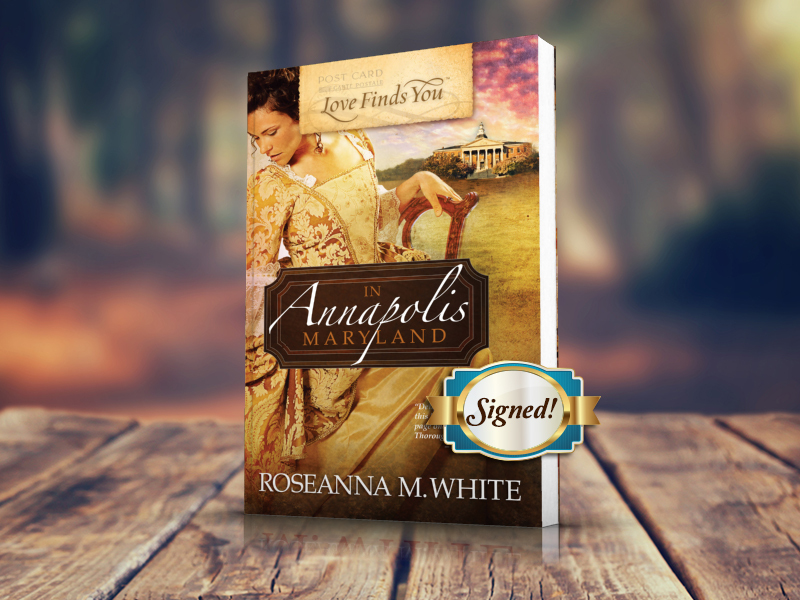 To celebrate the CQ's sixth anniversary, Roseanna is offering a signed copy of Love Finds You in Annapolis, Maryland, her first historical romance, set in 1783 Annapolis, to a winner with a US address. Pegg Thomas saw her debut novella, "Embattled Hearts," part of The Pony Express Romance Collection, release in April this year. It was a long time coming! In January 2018, her second novella, "In Sheep's Clothing" will be part of The Bouquet of Brides Collection. 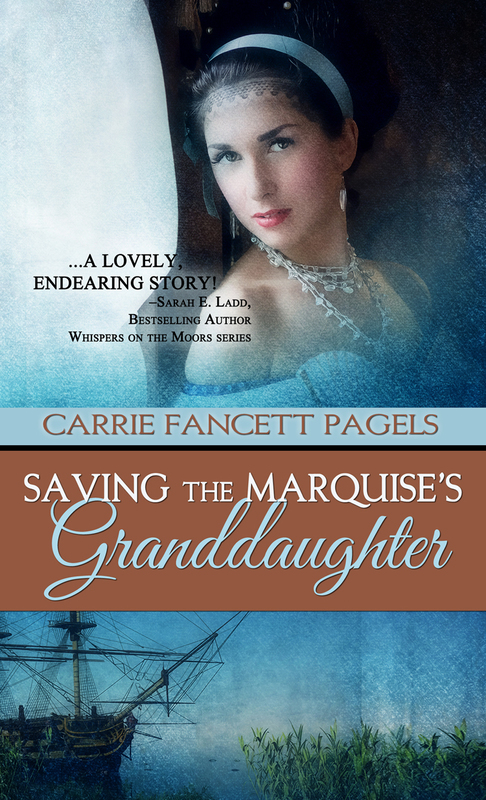 In May, her third novella will be part of The Backcountry Brides Collection with fellow Colonial Quills authors. Huzzah! 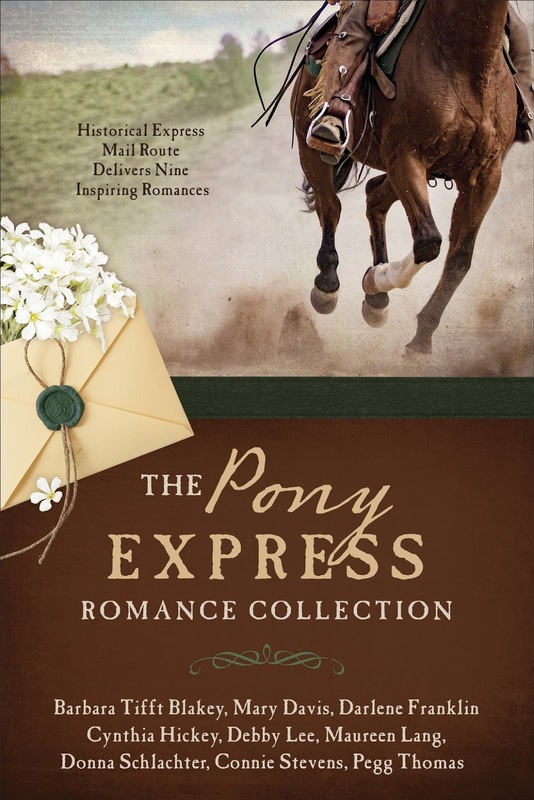 Pegg is giving away a signed copy (to a U.S. address) of The Pony Express Romance Collection to celebrate the CQ Anniversary. This past year, Angela K Couch has been blessed with the release of her Colonial novels, The Scarlet Coat and The Patriot and the Loyalist, the first two books of her Hearts at War series! She's also been busy writing the last two books in this series, The Tory's Daughter and The Return of the Kings Ranger and is eagerly awaiting their releases! Giveaway: To celebrate, Angela is giving away one ebook - winner's choice from this series! 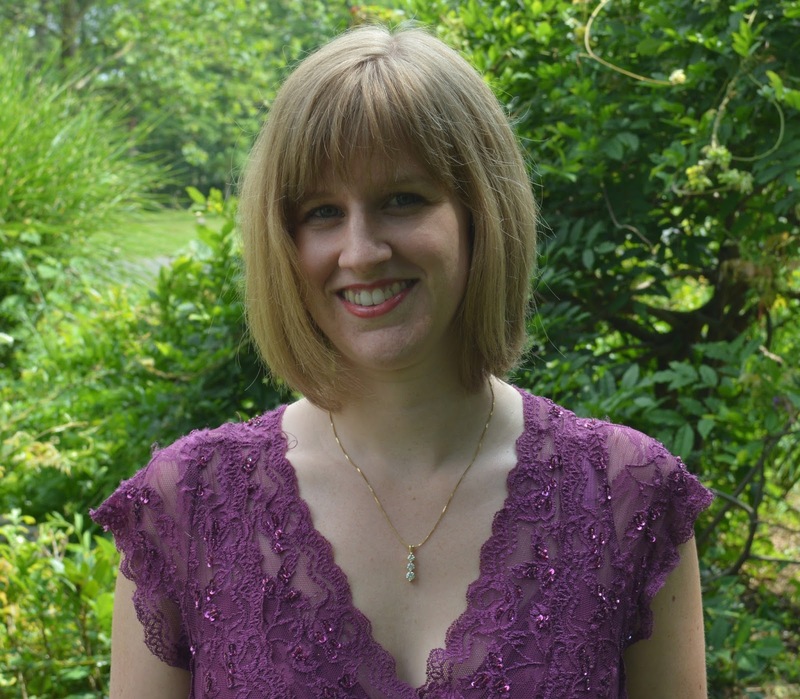 Shannon McNear has been with Colonial Quills since 2013, shortly after being surprised with her first publishing contract. That first novella, "Defending Truth" from A Pioneer Christmas Collection (2013/2015), a Revolutionary War tale dealing with the aftermath of the Battle of Kings Mountain in October 1780, was a 2014 RITA® finalist. She's working toward re-releasing her second novella, "The Highwayman," originally part of The Most Eligible Bachelor (2015). 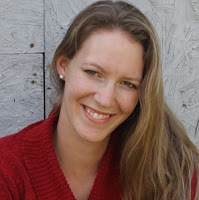 She loves sharing bits of story inspiration on Pinterest, Facebook, and on her personal website. 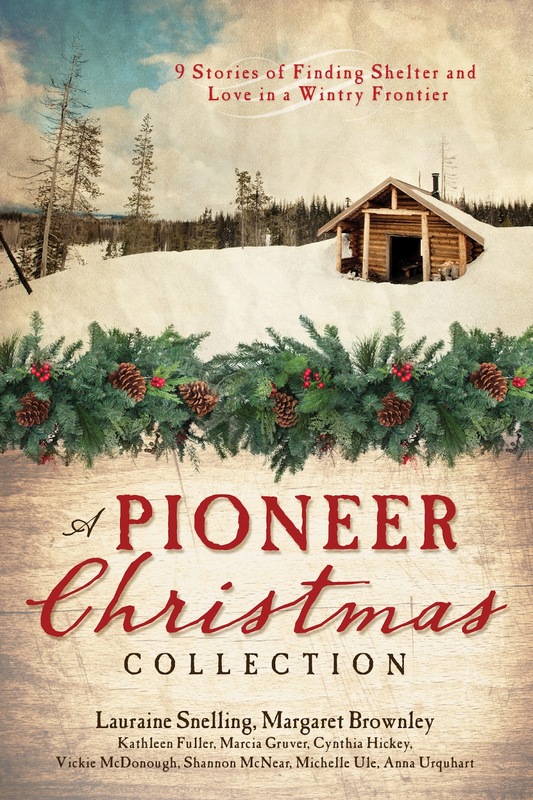 Giveaway: to celebrate Colonial Quills' sixth anniversary, Shannon is offering a signed copy each of A Pioneer Christmas Collection (2015 edition) and The Most Eligible Bachelor. Carrie Fancett Pagels, founder of CACW and administrator of Colonial Quills blog, has been blessed and on a spree. Since last year, she released her colonial novel Saving the Marquise's Granddaughter (which received a starred RT Review! 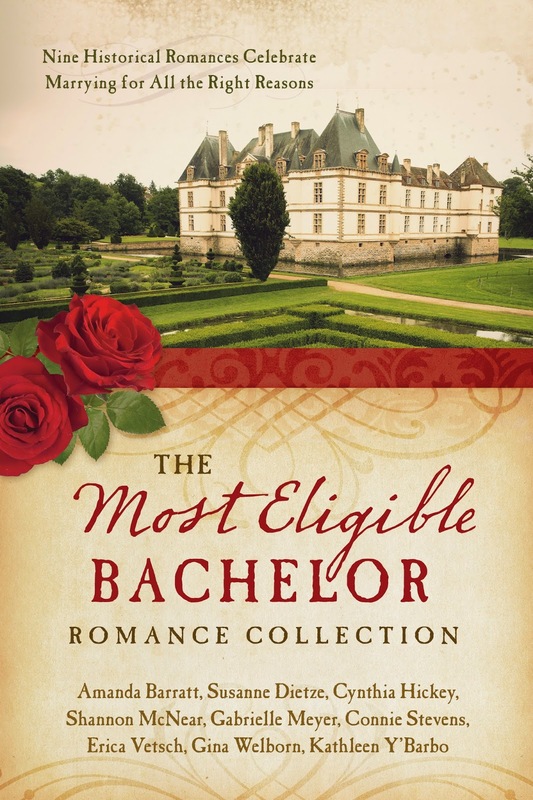 ), was a finalist for published Romance Novellas in the Maggie Award in Excellence for The Substitute Bride, Just learned she is a finalist for the prestigious Holt Medallion Award for her Romance novella "The Steeplechase" set in 1810 Virginia in Williamsburg and Yorktown, and her novella "Requilted with Love" part of the Blue Ribbon Brides Collection (October, 2016 Barbour) became an ECPA bestseller. 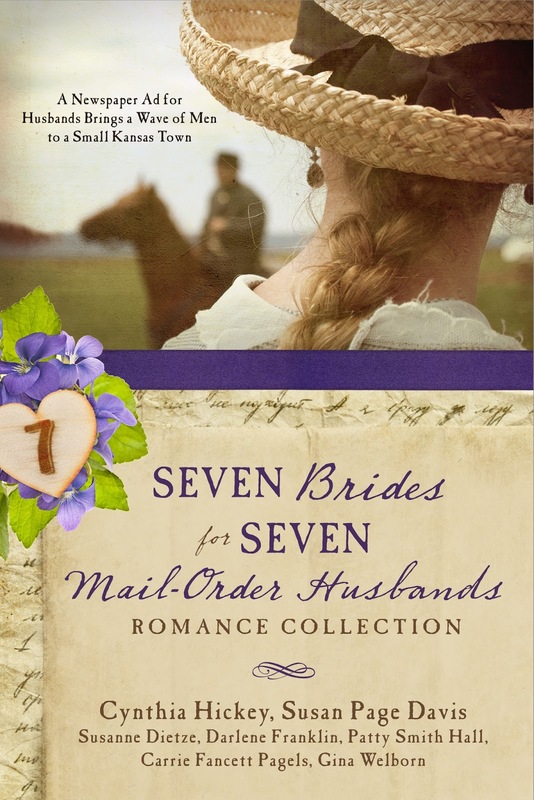 Her latest release is "Dime Novel Suitor” in Seven Brides for Seven Mail-Order Husbands. 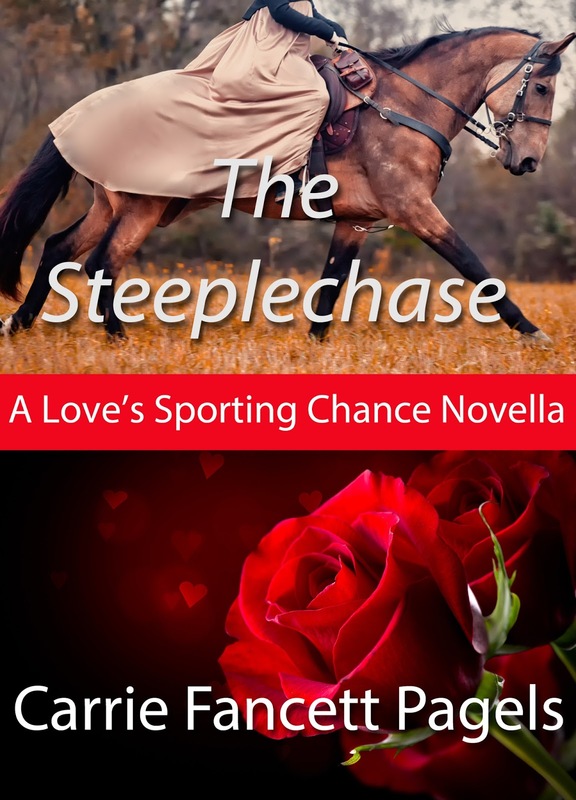 Giveaway: autographed copy of The Steeplechase OR autographed copy of Seven Brides for Seven Mail-Order Husbands, OR a copy of Saving the Marquise's Granddaughter. 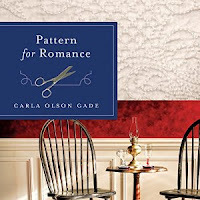 Carla Gade, who designed the Colonial Quills blog, is excited to have her 10th book in print come September this year. 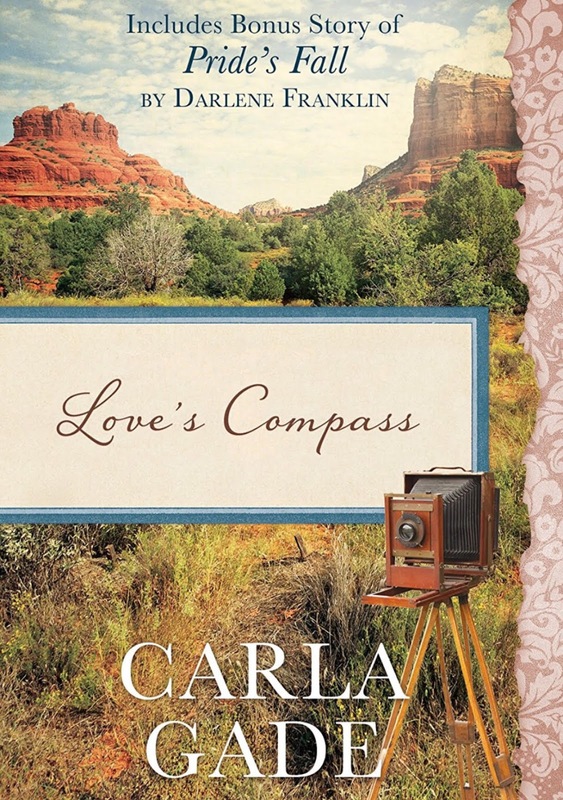 When CQ began, Carla launched her debut novel. Love's Compass (originally titled, The Shadow Catcher's Daughter) has now been re-released by her publisher. Two of her novellas have been on the ECPA best-sellers list: "Tis the Season" from Mistletoe Memories, and Proving Up (1878) from the Homestead Brides Collection. 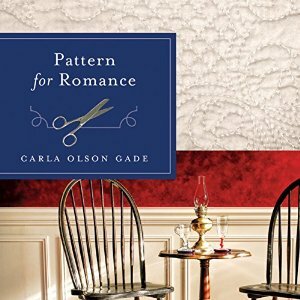 GIVEAWAY: To celebrate, Carla is giving away 2 audio copies of her colonial novel Pattern for Romance and 1 copy of Love's Compass to 3 commenters. In the last year, Denise Weimer released her Restoration Trilogy, modern romantic suspense with historic back stories from three different centuries. 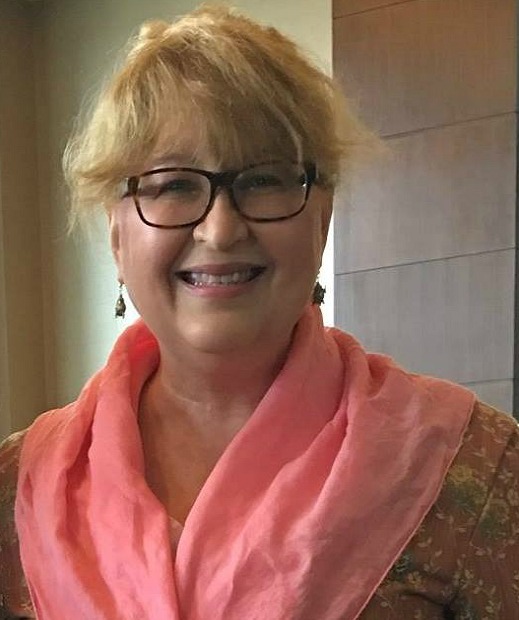 She's been busy penning a number of novellas in collections, both modern and historical, that are currently pending with several different publishers. Look for more stand-alone novels coming from her in the next year or two. She's also very excited to have just signed a contract to act as one of the associate editors for Lighthouse Publishing of the Carolina's Heritage Beacon historical line! Carrie here: This is a dream come true!!! When I started gathering up authors to start this group six and a half years ago, I always dreamed that one day we'd have a bunch of us in a collection of colonial era stories! 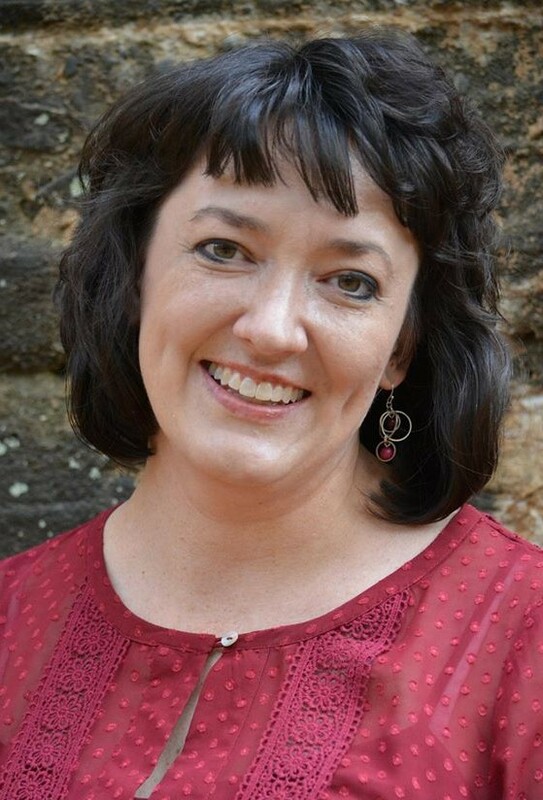 Just this past week we were informed by my agent, Joyce Hart (Hartline Literary Agency) that Becky Germany (Barbour Publishing) had offered us a contract for the Backcountry Brides collection. Nine of the Colonial American Christian Writers/Colonial Quills members will be writing novellas for the collection which will be published in May, 2018!!! Can you send up a hearty HUZZAH!!! with us? Don't forget to join us later this evening at our anniversary drop in. Some of our Colonial Quills authors will be dropping by to chat with our guests in real time from 7 to 8 pm EST. Click on the image below to go to the facebook event page this evening. Thank you, one and all, for joining us for our anniversary! In the comments below, please let us know how long you've been a friend of Colonial Quills and our authors. We appreciate your faithfulness. It is also nice to make the acquaintance of new friends and readers! Hello all of you lovely and talented ladies!! I am so proud of each and every one of you!! So many accomplishments and advancements in the last year! It's wonderful! God is good! Jennifer invited me to CQ years ago. I don't even remember when I joined, maybe when it first started up? I know we were living in Greenwood at the time. Congratulations! Happy 6th anniversary, Colonial Quills!! Thanks for being a follower of CQ all these years Regina! God is good? Can I pot you some tea? Regina, I'm so glad we connected all those years ago. You are a blessing to all of us. Congratulations, ladies on your anniversary. You all are such a blessing. I'm not sure when I became aware of Colonial Quills, but I'm guessing about two years ago. Congratulations on the Backcountry Brides Collection. Thank you to each of you for the quality books you put out to honor God. May God continue to bless each of you. Thanks so much Leila! We are sure happy to finally have a group of us publishing together with Barbour! Hugs! I found you guys through Facebook author friends. It is such a lovely and fun time period to focus on. When I was little, I so enjoyed books set back in time. Two of my favorites were the Mandie series (especially when she was off on an adventure in Europe or someplace) and the Elsie Dinsmore series - awesome!! I read a few of Elsie's more than once. Huzzah!!! Bringing around tea and scones now! Thanks so much Deanna! So very nice to have you join us, dear friends and readers! It has been a remarkable six years for us all! So much has happened in each of our lives, personally and professionally. What a great joy to mark this special occasion with a book contract! God is so good! Blessings to all of you! So much has happened to all of us since we first started the blog. Your blog design has endured and still looks great Carla! Good morning everyone! Here is my mighty and hearty HUZZAH!! Congratulations CQ for six wonderful years and congratulations on all of your individual successes. Your accomplishments guarantee wonderful reading for all of us who enjoy Christian historical fiction. It was a happy day when I discovered Colonial Quills about 18 months ago! I would consider it a blessing to win any of the wonderful books you are offering and I wish all of you continued blessings! Good morning Connie! Thanks so much! Glad you found us! We are so thrilled to be celebrating our anniversary!!! Best wishes! Congratulations! Six years is such an exciting milestone… Out of the awkward beginning phase, and you know right where you belong! I've been so blessed by these authors and their writing over the past few years, and I'm so glad to be a part of Colonial Quills! lunch break at work so I'm popping in. It's fun to see the authors of Backcountry Brides signing their contracts! I'm looking forward to chatting with FB friends tonight as well! Hi Deb! Are you going to post a pic of you signing you contract? Thanks for being in the collection! Yes! We need your signing photo, Debra! So fun to be able to talk with and rub elbows with writers who love history. Though I wouldn't have lived past 19 in colonial times due to type 1 diabetes, it's my favorite era in history and am finally writing a book in that genre. I'm very excited about it, and hope to be able to share it soon. hi Cathryn! Welcome to the party! I wouldn't have lasted in Colonial times either! But I love reading about it and writing about the era! I have read several of the books you are celebrating today and hope to read the others. I'm looking forward to Backcountry Brides next year too. Thanks Andrea! Would you like a cup of gunpowder tea or bohea! Congratulations on your six year anniversary. Lots of great stuff over the years!!! Blessings!!!!! Thanks Robin! We are so excited! Congratulations ladies on your six year anniversary! I've been following for a few years. I've enjoyed getting to know you. You are a BLESSING! Thanks so much sweet Caryl! Can't wait to see what you bring to the drop in tonight! HUZZAH!! CONGRATULATIONS ON 6 YEAR ANNIVERSARY COLONIAL QUILLS!! You all certainly have been busy this year. I for one, thank each one of you for the inspiring books you write which honor God and bring so much joy to me and your readers. My God continue to bless each of you. Congratulations on the Backcountry Brides Collection! I look forward to reading it. I am not sure exactly when I first became aware of Colonial Quills but it has been at least close to 5 years or so. Carrie first told me about CQ, it is a wonderful blog with gifted, writers who have become friends. Recently I joined CQ and am so honored to be a part of Colonial Quills! We are so delighted to have you on the blog Tina!!!hugs!!! Yes, BECKY, I did take it at Fort Michilimiackinac, while up there doing research for a book! We'll be staying in Mackinaw City all of July and I hope I get to see you! Thanks! Have you ever visited Fort Macon in NC? I still recall when my dad and I visited years and years ago as if it was yesterday. We happened to be doing a historical visit to the area and they just happened to be doing a fort reenactment - even down to using the fort kitchens to fry chicken in the cast iron kettles! The sad part of it was that you could only enjoy the fried chicken if you were a volunteer/ reenact or. Blimey! I also remember that the captain we spoke with thought my toes looked a bit odd (I was wearing sandals and my toes were painted green at the time). lol. Hi, I think I found you a year or more ago but don't remember to come by often enough. Congrats on your anniversary! Hi Mary! I think you've known us longer and we've been glad for it! Sit down and have some dinner with us! Hello! And Happy 6 year Anniversary! Thank you Nancy! Would you like to try the inn's tasty Chicken Pot Pie? It's delicious! Happy anniversary! And congrats on all the releases and achievements! You ladies are, quite simply, super stars! You are so sweet, Ashley! Thanks so much for joining us. Have a seat -- our manservant, Jeffrey, is bring chicken pot pie around. Would you like some? I am so glad JOY! Come try this chocolate ganache torte! It is scrumptious! These books all look great. Some I have read and they were awesome. Happy anniversary! I hope you will all have a great weekend. Hi WILANI! Come sit down and have a cookie and tea with me! Thanks for celebrating with us! Hello Wilani! Glad you could drop by! I needed a sit down chat with friends. Are you doing ok? I hope so. I too thought the books sounded grand. If I were stopping by a colonial home for a few weeks I would hope my hosts had a library filled with these books…wouldn't it be a splendid vacation? Picture it: tea and cake out on a spacial veranda in the lovely spring weather reading these stories? Of course they'd be contemporary books to us back then! Lol. Thanks for asking how I am doing. My spirits are great. Still struggling with the vertigo which has been worse this year, but praising the Lord as He sustains me. I moved a year ago but was not able to move all my books and book cases which are at my brothers so I have had to go to their house when I needed a book. My friend and her husband helped me move two of my bookcases and 3 boxes of books. I have more to get, but it is like I am getting my family back. Some of my friends and family can not understand how attached I am to my books. But I am sure lots of people who read this blog feel the same way. Andrea, the Backcountry Brides Collection is a dream come true for me. I had been wanting a group of us from CQ to have a colonial collection together and now Barbour is making that dream come true PTL!!! Oh, you all deserve three cheers each and tons of praise. Thank you for always having this blog for us readers and sharing your work! May God shine on you and bless you all. Thanks so much, BREE!!! You are so sweet! Try some of this delicious chocolate colonial fudge! And some tea! Oh, Carrie, did you know chocolate colonial fudge is one of my favorite kinds of fudge? It is! You know, *voice drops to a whisper* I sometimes splurge and buy the kind with nuts. Although I do realize it is an extravagance, it is sometimes the best treat to brighten my day. Happy 6th year Blogversary! I think I've known some of these authors for about 2 years. Great authors! Love Finds You in Annapolis, Maryland interests me. BECKY, Ro's book is marvelous! Thanks for being one of our followers and for stopping by! Tea? Congratulations on 6 years! I honestly don't know how long I have been following, but at least 3 years. Backcountry Brides sounds like a fun collection. Hi Carrie! Enjoyed seeing you over at the Facebook Drop In, too! I think the collection will be amazing! Thanks! Happy Anniversary! I'm not sure how long I have been following CQ but I am enjoying it. All these books look good. The one that looks most interesting to me is Seven Brides foe Seven Mail-Order Husbands. What a clever twist on the mail-order bride story. Hey Susan! Thanks! Our publisher, Rebecca Germany, came up with the idea for a Mail-Order groom and she tasked Cynthia Hickey, a lovely author, to put the collection authors together. Both Gina Welborn, a member of our colonial group, and I have novellas in this post-Civil War era western collection! Sounds lovely! I'll have to look it up. I wondered how the book compilations were created/ brought together. Happy Anniversary! Seven Brides for Seven Mail-Order Husbands sounds very interesting. Did the Brides publish ads to get husbands? Think I will like to read Backcountry Brides when it is released. Historic Fiction is my favorite. I only joined this group this week. Feel free to go back, Ablst, and look at some of the older posts. When I read the title it made me think of the Jane Powell musical of a similar title. NIKI, There was an ad published to bring husband candidates to the little Kansas town for interviews. My heroine, Caroline Kane, didn't want in on that but there had been an ad for a worker at her inn that gets answered and is confused with the groom candidates! Thanks for joining us! Happy 6th Anniversary ladies! Congratulations on your new releases! These parties are always a lot of fun. God bless you all! DEBRA, I agree! Thanks for celebrating with us! Congratulations to everyone, especially you, Carrie. Your vision, determination and faith has brought you and this group to great heights. I'm thrilled for you and for the great stories of hope yet to be birthed. A hearty Huzzah from upstate NY! And Carrie has been very gracious to invite us to join her in this fun venture, Kathleen. You are too sweet, KATHY, and it has taken this whole the group to bring this blog along! I could never have done it without all the help. The original Colonial American Christian Writers group had the vision for the group and then the blog got moved along when Carla offered to help us with this fabulous design! Thanks for that Huzzah and big hugs back!!! It does take time and commitment, Megs, but we all have a real love of writing and of the colonial period. MEG, I will be honest, early on one of our former members said to me that most group blogs peter out after about five years. Last year we got an infusion of new members who have been great at contributing to the blog and breathing some new life back into CQ. I'm very grateful for all our members! It does take regular work and commitment all while fulfilling deadlines for book contracts! Congratulations on your anniversary and your new contract. Thank you! And thanks for stopping by. Thanks MICHELE! So glad you dropped by here! We are so thrilled to have this new venture ahead of us! Enjoying the Colonial Quill Anniversary party. Enjoy reading this time period. Wish there were more written. All we need are more publishers buying, right, gals?! Well there are about to be NINE more written HUZZAH!!! Thanks for coming by, Mary Ellen! So great to see all the authors and their books, some of which I have read. Not all of our authors got to make it to the blog post. We're hoping for most of our two dozen authors in CACW to show up next year for our seven year anniversary! I don't know how long I have been following, several years at least. I know I have read something by Carrie & Roseanna, not sure about the other ladies. What fun news about the Backcountry Brides Collection! I've been following for just under a year. Such a fun group of authors. Thank you all for sharing your talents with the world. I'm excited to read the bride collection-congratulations on that venture. Thank you so much, Terressa! We so appreciate your stopping in to comment. I just love this blog so much interesting information! Look forward to every post. Love the authors represented! Congratulations on 6 years! It has been interesting and the party too. I can't wait till y'all get the new book done! I enjoy all Historical Fiction. Thanks for the opportunity to join the party. Thank YOU for coming!! I hope the book meets everyone's very high expectation!!! LOL we'll definitely do our best! Thanks everyone for joining in on our celebration. While I took a break during some family medical issues, I'm very happy to be back as history will always be at the heart of one of my enjoyments in life. I'm so thankful to be friends with such a wonderful group of ladies. Glad you're back and able to soak up the historical times and stories. There is something quite nice and refreshing about history. Godspeed! I'm so disappointed! I had to miss the tea party today! You aren't too late, Beverly! I'm just in here late, sweeping and tidying things, but thank you for stopping by! What a wonderful celebration. Congratulations on a new mile-stone. That is wonderful. I have really enjoyed reading your blog!! Thank you so much, Sonja! We appreciate your stopping by!! Just dropping in to say Happy Anniversary! Hugs to all! Thanks for coming! Hugs back at you! Thanks for celebrating with us! Congratulations to all of you amazing authors! Thanks for sharing your time and talents with us. I'm sorry I didn't make it earlier. My granddaughter was in a play tonight. WINNIE that is so exciting! I hope the play went well and your granddaughter did super! Blessings! Thanks! Congrats and Happy Anniversary to all the Colonial Quill Authors!! Looks like an exciting time for CQ filled with wonderful stories and events! Thanks again for the anniversary party and giveaways,sorry work kept me from attending. God bless you all!! 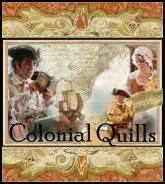 Congratulations to all of you wonderful authors of the Colonial Quills!! It certainly sounds like those quills have been very busy in the last year. We, the readers of your fabulous stories, raise a glass and give you a loud Huzzah!! So sorry I missed the party, but the celebration goes on. Happy Six Year Blog Anniversary! Thank you, Betti! Glad you came! :) Thanks for celebrating with us. Hi sweet BETTI! We have been busy bees haven't we and the is only the half of it since many of our contributors weren't able to post. Next year we'll try to round everybody up! Blessings! Thanks! Glad you traveled safe. :) Carrie has been quite the blessing, hasn't she? :) And God is good! It took us a while but God has His perfect timing, doesn't He, Shannon and Angela! Thanks for your kind works. I'm so happy you two agreed to join in the submission for this collection! WE have amazing authors in this collection!!! These are some of my favorite authors in my go-to genre! Thanks for a wonderful post!!! Congratulations! I've enjoyed being a part of your journey this past year. I'm excited about your future endeavors. Thanks for the refreshments. Hi MARGUERITE! We love having other authors come by to wish us well! Many blessings! This is the first time I've been to your blog. I love several of the authors featured, though. That's quite a list of books you ladies have written. Congratulations on the contract for the new novella collection! I missed last night's anniversary drop-in because I was at the Relay for Life. I'm sure you all had a wonderful time. I think that I've been reading Colonial Quills for almost a year now. 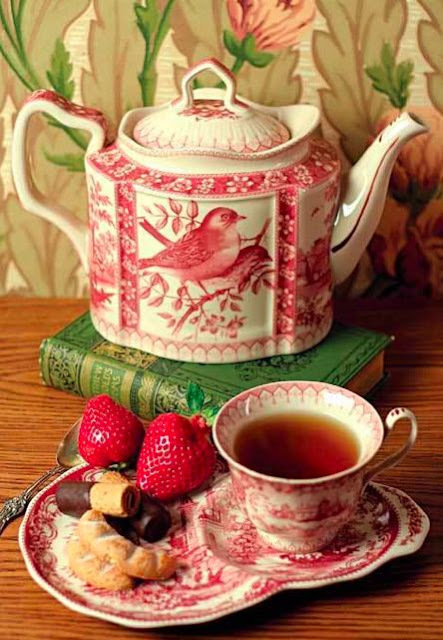 It is a great blog and I love attending the tea parties. Thanks for coming over, Debbie! God bless you for being in Relay for Life, DEBBIE! I'm surprised you've only just been visiting us for the past year! I'm so glad you could swing by to celebrate with us! Hugs! Hi Elva! Thanks for celebrating with us! We were blessed to have you blog with us for a season! Best wishes on your colonial series! I've read all the comments but regret that I'm not able to answer each one. This blogging stuff has been around awhile, but I don't take a single comment for granted. It's such a blessing when people take the time to do so. But... 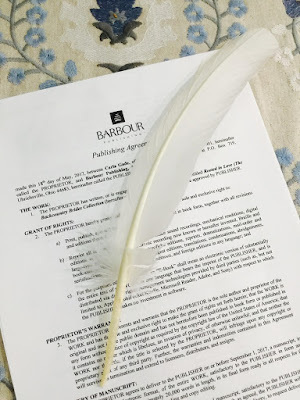 The new Barbour contract is one of three I need to fulfill this summer and unless the gnomes come and do my yard work and write my book, I'd better get going! THANK YOU ALL! The facebook drop in was wonderful and your comments mean so much! Happy, Happy Anniversary and many more! Congratulations!